We’re happy to bring special guest ‘T-REK’ to the table for this months Suckmusic party. 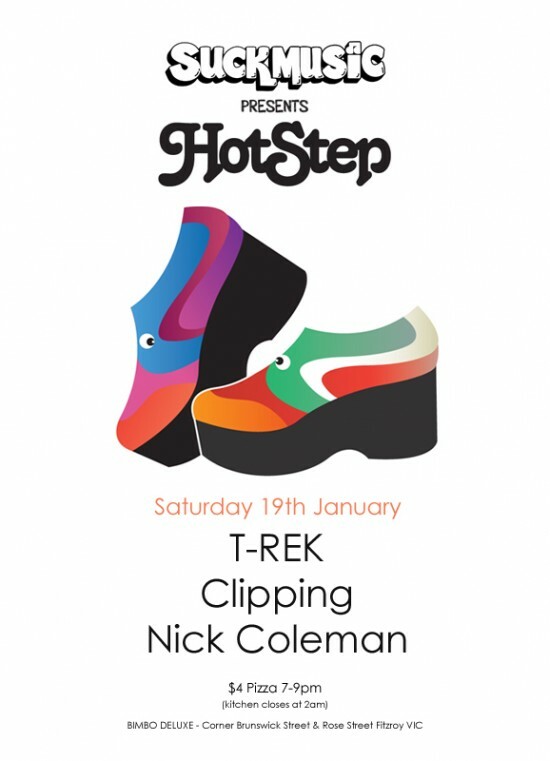 Also joining us this month for warming up duties is Clipping. Be sure to get down early for a pizza and beverage before the dance floor takes off.